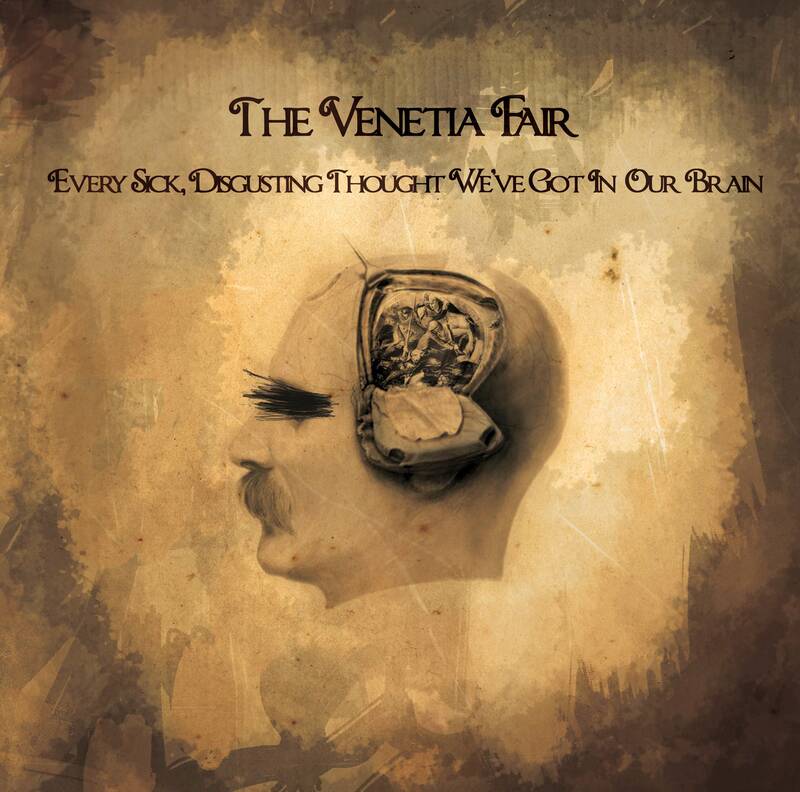 The Venetia Fair is a wild rock band out of Boston. 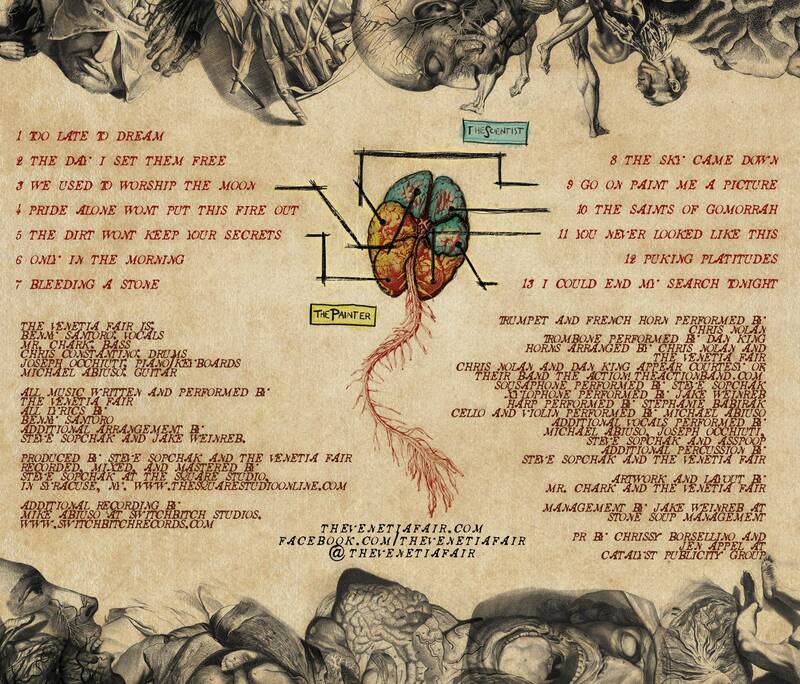 The band will be releasing their new album Every Sick, Disgusting Thought We’ve Got in our Brain on March 1st. This album was made possible by their fans through funding of a Kickstarter campaign. The band has said that these are the best songs they have done, and I must say they aren’t far off. This album shows a lot of growth in the band through great songs both lyrically and instrumentally. There is not as much chaos coming from the instruments as in some songs in the past, but still holds the feel of The Venetia Fair. Plus I love the album artwork, it is fantastic. On Feb. 19, they released their first single off of the album “The Day I Set Them Free” which features great piano playing that powers and energizes the song all of the way through. Fans happily accepted the song, and it only built the anxiousness of fans waiting for the new album. Personally, my favorite, and what I feel is the strongest track on the album is “We Used to Worship the Moon.” The instruments and lyrics are just perfect. It is a fun song to listen to and features very powerful vocals from lead singer Benny Santoro. The last song on the album “I Could End My Search Tonight” starts with a strong drum introduction into the track that leads to a great ending to the album. This song really shows some of the growth I was talking about. The instrument playing is fantastic in the song, and compliments the vocals perfectly. I am happy to include this album in my catalog of every thing else The Venetia Fair has put out. It’s great to see how much these guys have grown and the musicians they have become. You will definitely want to check out this album, and you will enjoy Every Sick, Disgusting Thought We’ve Got In Our Brain, and they definitely have a lot of them.